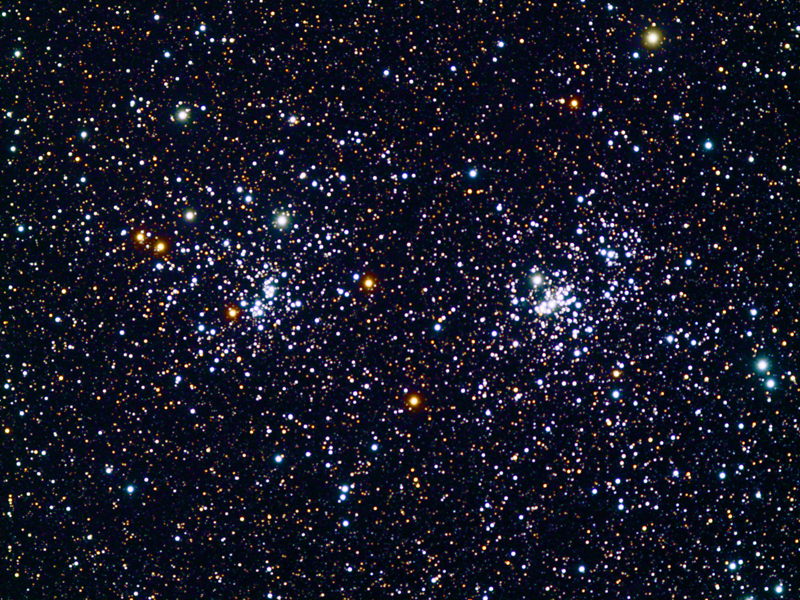 This double cluster is made up of two open clusters. You can find this with the unaided eye. Look for a dim fuzzy patch of light between the constellations Perseus and Casseopia.